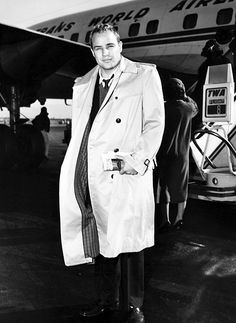 Men wanted to be him and women wanted to be with him - actor Marlon Brando was one of the most stylish men in Hollywood in his heyday, and one if its most enigmatic. Blessed with stupidly handsome good looks it was hard to make this player look bad, and with a full wardrobe compliments of the Hollywood studio system, he always looked his best. We’re reviewing some of his key looks over the years, from heartthrob to heavy hitter. You can’t go wrong with a single-breasted grey suit and an open-necked white collared shirt. You can, however, go very wrong with a cravat. Though, somehow Brando had the cool to make it work. If you plan on replicating this look today, switch out the cravat for a brown pocket square instead (and drop the ciggie all together). There’s something timeless about a trench coat and this staple has endured over the past hundred years. 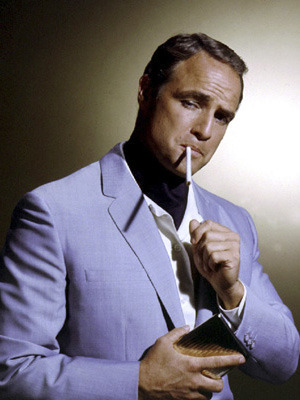 Taken here in the 1960s, Brando is rocking it in a very contemporary look worn over trousers and V-neck knit. He’s played down the look with a half-done black tie and accessorised with a newspaper. The volume of the trench coat adds an extra dimension, particularly in the jet stream of the nearby aircraft. Definitely a look for the man on the go. Did we mention that Marlon was an Oscar winner … twice? 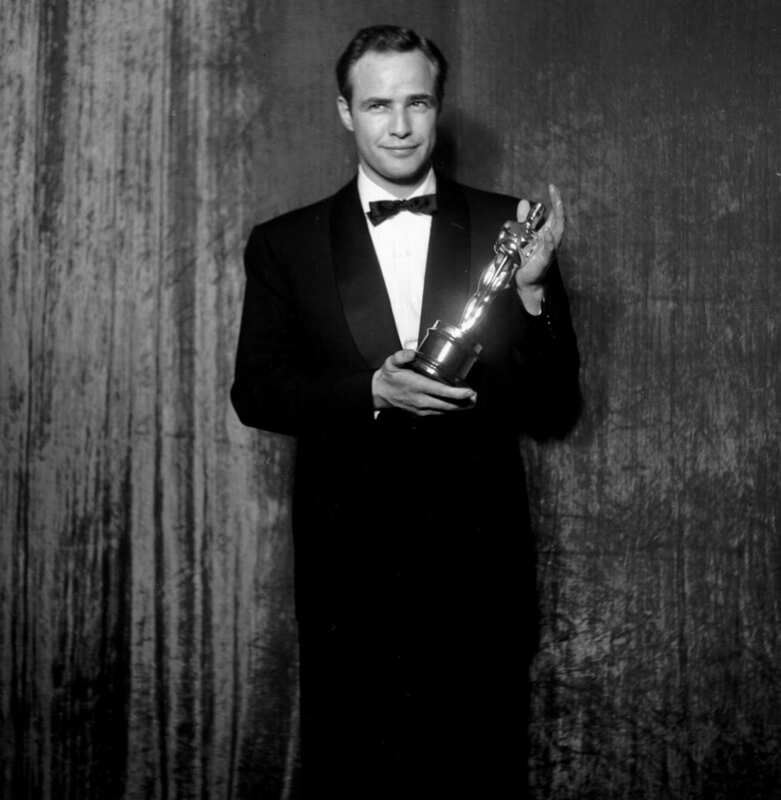 Here he’s pictured with his 1965 Oscar for On the Waterfront. But when he won his Oscar for The Godfather a decade later, he refused it and sent Sacheen Littlefeather (a Native American woman) to politely decline by proxy. A pretty badass move and one enshrouded in controversy at the time. For his first win his evening-wear game was on point, wearing a shawl-collared dinner suit with a slender bow tie. The proportions of the suit reflect a less streamlined silhouette, which was in direct opposition to the mod look of the time. Probably his most famed look ever, his costume for The Wild One set the trend for the leather biker jacket. Worn with a ring-necked T-shirt and turned-up selvedge jeans it’d be easy to believe he was a modern-day biker (or an Instagrammer with access to a Triumph).